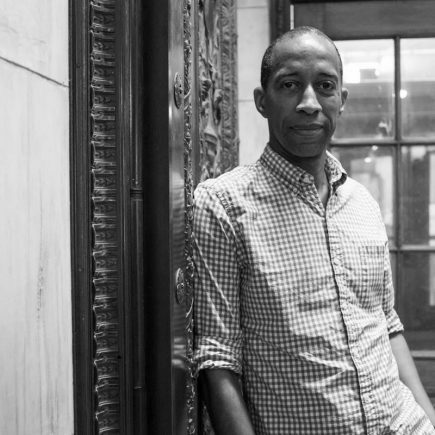 Garnette Cadogan is an essayist. He is a Martin Luther King Jr. Visiting Scholar (2017-2018) at the Department of Urban Studies and Planning at MIT, and a Visiting Fellow at the Institute for Advanced Studies in Culture at the University of Virginia, in addition to being a Visiting Scholar at the Institute for Public Knowledge at New York University. His current research explores the promise and perils of urban life, the vitality and inequality of cities, and the challenges of pluralism. He writes about culture and the arts for various publications, and, in Fall 2017, was included in a list of 29 writers from around the world who “represent the future of new writing.” He is the editor-at-large of Nonstop Metropolis: A New York City Atlas (co-edited by Rebecca Solnit and IPK Fellow Joshua Jelly-Schapiro) and is at work on a book on walking.